The best Pawn Shop in Mesa, AZ. We are a complete service Pawn Shop offering customers the options of buying, selling, taking out a short term pawn loan or giving them an auto title loan on the vehicle. We can buy or lend on just about anything from Gold, Silver, Diamonds, Jewelry and Estate Jewelry, TV’s DVD’s and Blue Ray, Computers, Lap Tops, iPads, iPhones and most any other smart phone. We have pawn loans available or will buy outright any musical instruments, electric guitars and amps, cameras and recorders, power tools and just about everything else you might have of value. We can provide Auto Title Loans through Phoenix Title Loans, LLC. No matter what you have, you will find that we are there to offer you the most cash for your items. Mesa’s premier Pawn Shop and Gold Buyer offering our customers the most CASH FOR GOLD! Any gold! Rings, necklaces, watches, bracelets, even broken and scrap, any weight, any carat and any color! We want to be your GOLD BUYER of choice and are ready to offer you the Most Cash For Gold! We are also a Silver Buyer along with Platinum and other precious metals. So whether you have jewelry, coins, bars or ingots we will offer you the most cash. Having been at our Mesa, AZ location for over 10 years and with over 30 years in the industry, our expertly trained and professional staff works hard to provide you not just the service, but the confidence in knowing that you made the right choice by coming in to our pawn shop. So if you find yourself in a spot where you need cash right now, whether you are looking to Buy, Sell, Pawn of get an Auto Title Loan on your car, truck, SUV, Boat, PWC, ATV or even if you own an Airplane, make sure that we are your first stop to get the cash you need today. Conveniently located and accessible by the Light Rail so whether you are in Phoenix, Mesa, Tempe, Chandler, Gilbert, Apache Junction or surrounding areas, you will find that we are ready and willing to give you the best offers and the most cash anywhere! Aside from being a Mesa Pawn Shop, Gold Buyer and Jewelry Buyer, we also specialize in Auto Title Loans. An Auto Title Loan or Car Title Loan is a great way to get that extra cash you need quickly and still be able to keep your car. Have bad credit? That’s not a problem since an Auto Title Loan is a loan based solely on the value of your car as collateral. We are able to make auto title loans on Cars, Trucks, Motorcycles, RV’s, Custom, Classic and Vintage Autos,Commercial Vehicles, Boats, Jet Skis, ATV’s Exotic and Foreign Cars and even Airplanes. Auto title loans are useful because they allow you to borrow as little or as much as the collateral allows. Since an auto title loan is based solely upon the cash value of the automobile being used as collateral, there is no need for credit checks. It doesn’t matter if you have good credit, bad, credit, slow or no credit we can provide you with the cash that you need through a title loan on your vehicle. If you have an existing Auto Title Loan through another lender, bring it in to us and we can easily refinance your current auto title loan to a lower interest rate. So bring in your vehicle with proof of ID, a clear title, Residency and Income, we can help you out fast. Our Mesa, AZ Pawn Shop, Jewelry Buyer, Gold Buyer, and Auto Title Loans makes us your one stop for cash today! We proudly serve Mesa, East Mesa, Tempe, Chandler, Gilbert and surrounding areas and are a member of the Better Business Bureau. Mesa, Arizona’s best Pawn Shop. 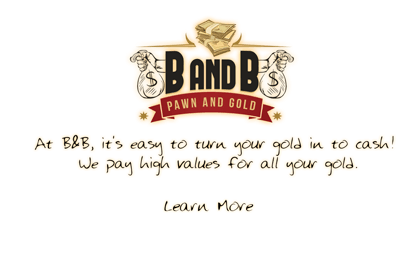 We are a full service Pawn Shop buying gold, buying jewelry, and giving auto title loans. We also service Tempe, Chandler, and Gilbert. The Pawn Shop Mesa, Arizona loves best. 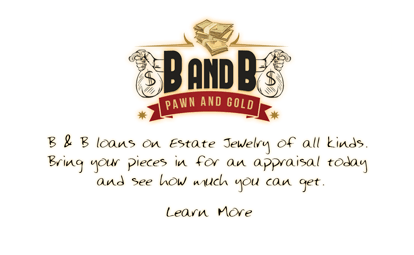 We are a full service pawn shop servicing the areas of Mesa, Tempe, Chandler, and Gilbert, and will buy gold, buy jewelry, and provide auto title loans for any vehicle, RV, or even boat. Our pawn shop will buy whatever valuables you have to offer, including buying TVs, video game systems, computers, used cell phones. Whatever it may be, we’ll buy it from you or our pawn shop will offer you a pawn loan for it on the spot. If you need cash fast, bring in your item today. Whether it be a stereo, or a musical instrument, or electronics, or even watches we will buy it from you. And if you don’t want to part with your valuable item, we’ll give you a cash loan today and you can simply buy the item back. We’re also a large provider of auto title loans, and will give you a loan on your motorcycle, RV, collector car, or anything. Bad credit, or no credit, come down and visit us today.